Brine the tri-tip in the Sweetwater Spice Tres Chiles according to the provided instructions. Preheat your Yoder Smokers YS640 to 500ºF, and set up GrillGrates for direct grilling. 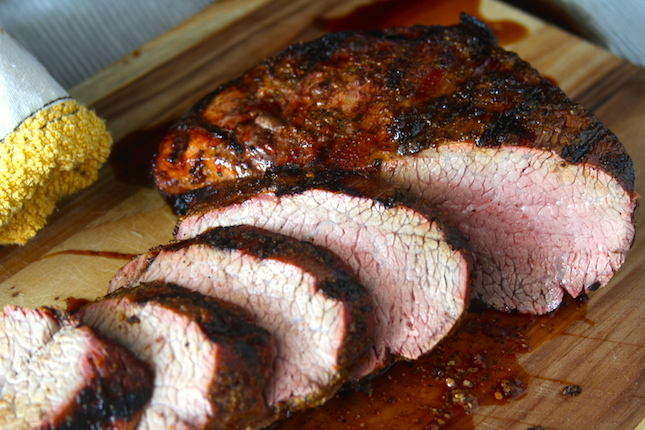 Apply a 50/50 mixture of Cattleman’s Grill California Tri-tip and Oakridge BBQ Santa Maria seasonings to the surface of the tri-tip. Let rest until rub looks wet, about 10 minutes. Grill on both sides over direct heat until good grill marks are achieved. Move to indirect heat. Cook to an internal temperature of 125ºF-130ºF (check the temperature using an instant read thermometer like the Maverick PT-100).. Rest 10 minutes before slicing, across the grain of the meat.